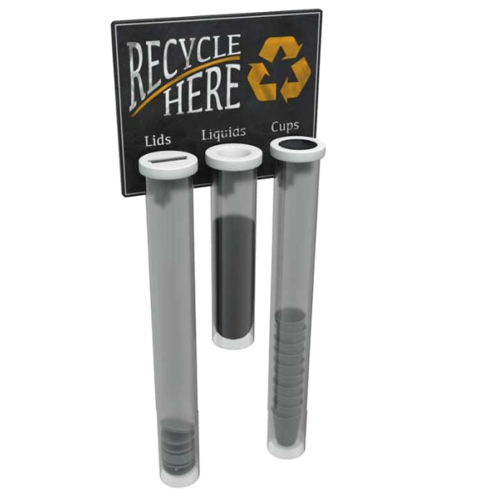 Coffee (paper) cup recycling is here and it’s here to stay! Simply Cups was the first dedicated disposable cup collection and recycling scheme in the UK and has been recycling paper cups since 2014. Simply Cups collect disposable/single-use cups, such as takeaway coffee cups, for recycling. 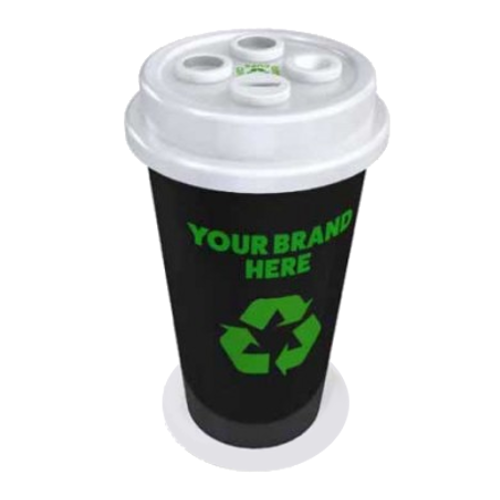 Simply Cups suits any business that uses this kind of cup and wants to better its recycling figures and in turn lower its carbon footprint. 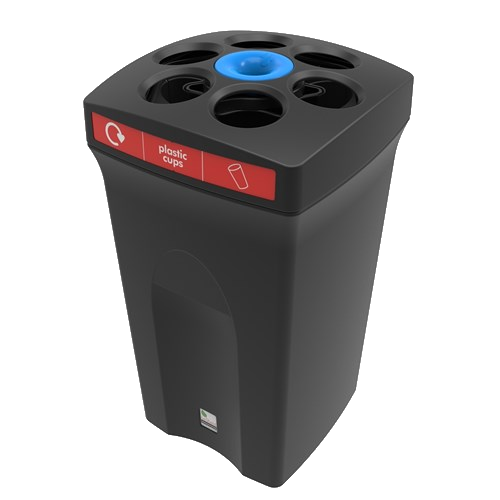 Integrating this recycling scheme is made as easy as possible with bespoke cup recycling bins which come with separate compartments for cups, lids and liquids. By having specific cup bins allows cups to stack which maximises space in the bins. Here are some of the different types of internal bins that could be used in your business. 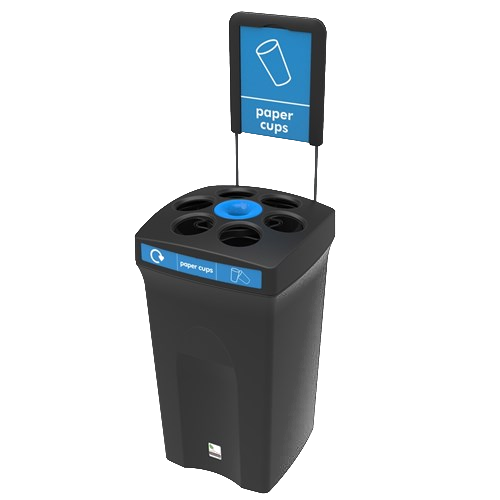 This is just a selection and any bins offered by Simply Cups can be designed in accordance with company guidelines. What happens to the cups once they’ve been collected? Once collected, the cups are collected by Simply Cups’ co-partner, Simply Waste Solutions, and taken to its depot in West London where the cups get sorted and baled. Once there are enough bales to fill a trailer they’re transported to a specialist paper recycling facility in the UK – there’s only three that can currently separate the plastic waterproof lining in order to recycle the cups. The cups undergo processes to turn them into useable recycled material to be used to make new products. One of the latest in a series of innovative and ground-breaking products is the rCUP. Made with cups collected by Simply Cups, the rCUP is the world’s first reusable coffee cup made from used paper cups. It is also 100% recyclable, a true circular economy! For any information about recycling and collections or to see how Simply Cups could fit into your business check out simplycups.co.uk or send info@simplycups.co.uk an email.